You won't have to travel to another galaxy for these animal-free Kylo Ren-inspired vegan shoes. 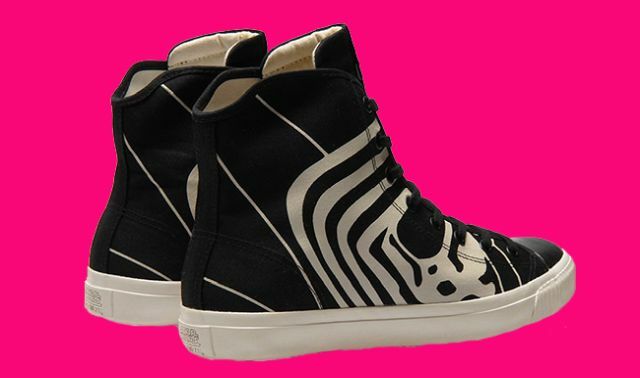 In August, ethical design company Po-Zu will begin shipping a vegan Star Wars hi-top inspired by the film series’ character Kylo Ren. The unisex shoes ($92.60) bear an illustration of Ren’s helmet, are made in Sri Lanka, and are comprised of organic cotton and locally sourced Fair Trade rubber.